The NFL has faced years of scrutiny for not enforcing its concussion protocol. Back in December, as the Houston Texans played the San Francisco 49ers, Texans quarterback Tom Savage took a severe hit which experts say left him with all the signs of a concussion — yet he was allowed back in the game. In response, late last year the NFL once again revised its rules on concussions. On Super Bowl Sunday, as the Philadelphia Eagles and the New England Patriots face off at Minneapolis' U.S. Bank Stadium, neurotrauma consultants will be on hand, watching each collision, tackle and fall for signs of brain trauma. Given all we know about how concussions impact the brain and one's long-term health, it may come as a surprise that one of the leading researchers of concussions and brain injury is a football fan herself. In a Friday roundtable discussion with MPR News host Kerri Miller, Dr. Uzma Samadani said she trusts her own teenage son to play the game safely. "I think everything in life is about risk and benefit," Samadani said. "I think people are starting to realize that there are risks associated with sports in terms of brain injury, but we're not even contemplating the benefits of sports in this equation." She wants her son to be healthy and active, and says she trusts him to tell her when he thinks he may have a concussion. The other round-tablers agreed. Mike Grant, football coach and athletic director at Eden Prairie High School, said he "pleads" with student athletes to be honest with coaches if they sense any signs of concussion. "It's not about how tough you are," Grant said. He wants players and parents to report any signs of concussion, even in the days after the event. Possible signs? A player who appears dazed, confused, or off balance, or is exhibiting "unusual behavior." 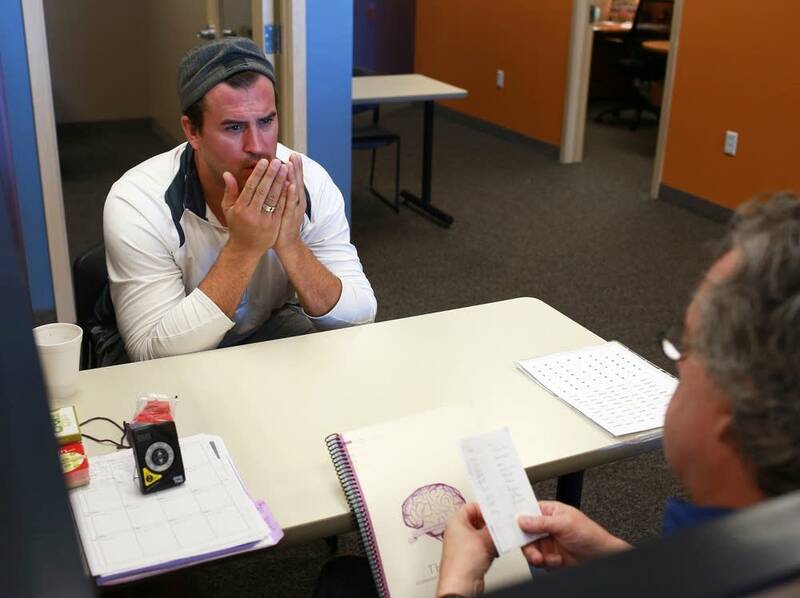 Ben Utecht has had firsthand experience with concussions. As a tight end with both the Cincinnati Bengals and Indianapolis Colts, he experienced many blows to the head, including several where he was knocked unconscious. Utecht wrote about losing his memory due to brain injury in a memoir called "Counting the Days While My Mind Slips Away: A Love Letter to My Family." Utecht has been vocal about the need for the NFL to enforce rules around brain injury. "I desperately want what's best for the guys on the field from a health perspective," he said. But still, he maintains a love of the game. "It's a back and forth relationship, but it's a beautiful one," Utecht said. Suzanne Pekow is an associate producer on MPR News with Kerri Miller.